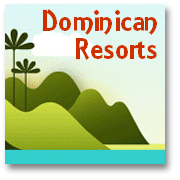 Hotels in Las Terrenas, a beautiful part of the Dominican Republic? At the Western foot of the Samana Peninsula for us Las Terrenas is a superb Dominican vacation choice. 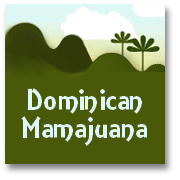 It combines a lively, genuine Dominican township, with access to some fantastic tropical beaches. There are plenty of good quality Las Terrenas hotels to choose from - and for those who like to plan and book their own vacations insted of relying on a travel company, Las Terrenas is a resort that is hard to beat. As far as hotels in Las Terrenas go, we have tried to list some interesting places to stay that you might want to contact for deatails. To be honest, and as you might guess, as 'locals' we haven't been in a position (nor had the need!) to stay in all the hotels in Las terrenas that we list here(sadly we're not made of money!). But we have aimed to suggest those places that seem, from our research, to be worth considering though. We do plan to keep updating as often as we can. However, as details can soon go out-of-date at any time without it immediately becoming common knowledge. So...DO please let us know (via our contact us page) if you have any feedback about these places (good or bad! Closed?) and we'd be pleased to update the information provided here for the benefit of all! This will enable us to be certain of offering the very best advice about hotels in Las Terrenas. 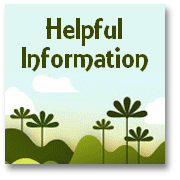 but please note - as this link opens in a new window - be sure your browser 'allows the pop-ups' so you can see the information! Hotel Cacao Beach Calle Playa Cacao Las Terrenas Tel: +1 (809) 240 6000 Web: www.samana.net/cacao-beach.html The hotel is re-opening in mid December 2004 Offers 'all-inclusive' deals. Accommodation in individual cabanas dotted around tropical gardens. Rooms are air-conditioned. Sounds lovely! Kanesh Beach Hotel Calle Playa Cacao Las Terrenas Tel: +1 (809) 2490 6187 Good value, pleasant, basic accommodation. Rooms overlooking the Ocean. Recommended Indian food available too. L'Aubergine Calle Playa Cacao Las Terrenas Tel: +1 (809) 240 6167 Right in the middle of the action. Good value basic accommodation. Rooms above a busy restaurant. Las Cayenas Calle Playa Cacao Las Terrenas Tel: +1 (809) 240 6080 Set on this popular beachfront road the property has Much elegance and charm. Particularly favoured by American visitors. Tropic Banana Calle Playa Cacao One of the finest hotels in Las Terrenas the Tropic Banana has also been operating one of the longest. Facilities include a pool and tennis courts and a relaxing bar and restaurant. The lovely, large rooms have their own balconies and the grounds are very attractive. Thanks to its cosmopolitan population, and well-established tourist trade there is a wider range of types of restaurants and bars than you commonly find in such 'out-of-the-way' resorts. Most continental European types of cuisine are represented (French, Italian, Spanish) along with some good Indian food (see Kanesh for instance). 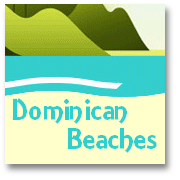 The beach bars and restaurants on the sea front are most pleasant and comfortable for enjoying a drink, although some typical local Dominican 'shacks' selling liquor can be found away from the main tourist area. Baro Latino – Calle Playa Cacao Easily found in the center, great for sitting and lazily watching the world go by. It has a wide ranging menu on offer all day. Comedor Jahaira – off Carretera Las Terrenas A great place for a taste of real Dominican cooking and reputedly incredibly cheap. Havana Café – Plaza Linda A counterpoint to Jahaira above. Expensive but good class cuisine. Casa Boga – Calle Playa Cacao On the beachside, and prices reflect its prime position, but seafood is said to be amongst the best in town. There is a wonderful range of things to so by day and night in and around Las Terrenas. 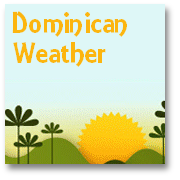 Hiking along the beach and exploring off the beaten track is well worthwhile to get a feeling for the real out-of-the-way Dominican Republic. Snorkeling and Scuba Diving is fantastic, especially with the fine and beautiful coral reef so close (which helps keep the Ocean under control as it washes against the powdery white sands of the lovely beaches hereabouts). Try the diving Club attached to the Hotel Tropic Banana. Or you can easily hire a car, motorbike, jeep, quad bike or a simple bicycle to go and explore the beautiful valleys along the Samana peninsula. And by night...well we suggest you take a few local rums...and then you have to learn to dance the Dominican merengue...don't worry, there are always locals at hand to help you get into the rhythm! We hope you find your pick of the hotels in Las Terrenas, let us know if you are having any difficulty and we will do what we can to help! We hope you have a great time.